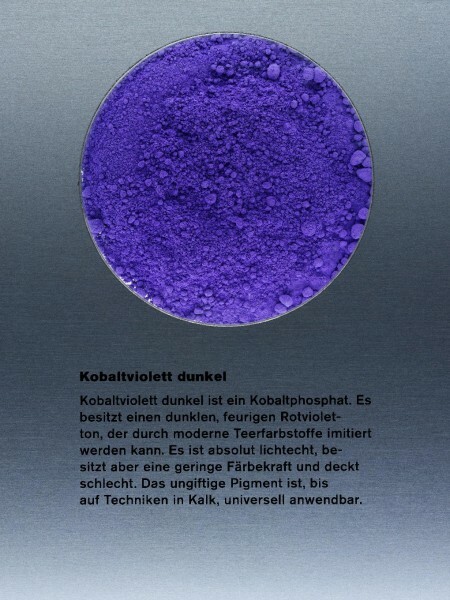 Cobalt Violet, dark | Cobalt Pigments | Pigments of Modern Age | Pigments | Kremer Pigments Inc. WARNING: MAY BE HARMFUL IF SWALLOWED. INHALATION MAY CAUSE RESPIRATORY ALLERGIES. SKIN CONTACT MAY CAUSE ALLERGIC SKIN RASHES. CANCER AGENT BY INHALATION BASED ON EXPERIMENTAL DATA. EXPOSURE MAY CAUSE DAMAGE TO THE TESTES. INHALATION MAY CAUSE LUNG DAMAGE. EPOSURE MAY CAUSE DAMAGE TO THE HEART. 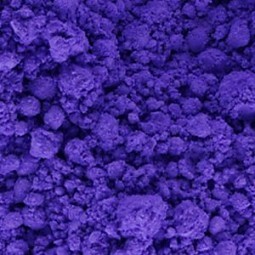 Contains: SOLUBLE COBALT. 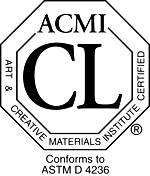 This product contains chemicals known by the State of California to cause cancer. PRECAUTIONS: Avoid prolonged contact with skin. Do not spray apply. Wash hands immediately after use. When using do not eat, drink or smoke. KEEP OUT OF REACH OF CHILDREN. Customer evaluation for "Cobalt Violet, dark"